I don’t need to confess it. Anyone who knows me has been quick to tell me, I am a MOW-YOU-DOWN to GET IT DONE person. Since my children have flown the nest, I have greatly tempered this abscess to my personality. Yes, I have been pulled over by a highway patrolman driving right beside me as I brazenly flew by while in deep thought. Understandably, the law does not cotton to such nose-thumbing and disrespect, inadvertent or not. I can’t recall whether I got a ticket or a warning, but I do recall I was already having a VERY bad day! Slowing down has been at the top of my New Year’s resolution list for decades. 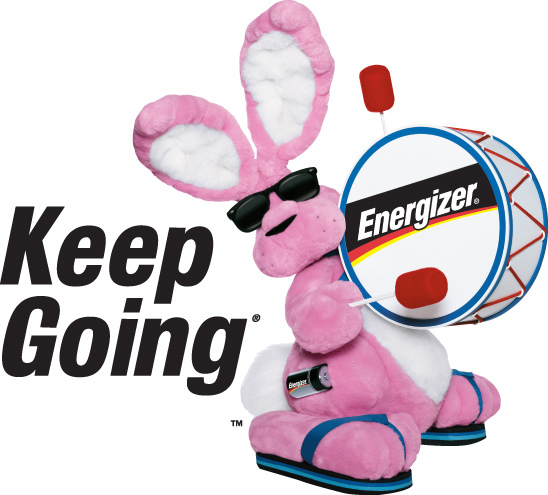 On the last Christmas I celebrated with my dear Dad, 16 years ago, he gifted me a pink, battery-operated Energizer Bunny that still sits on the shelf in my office – a reminder to stop going and going and going. Here is what he gently tried to tell me all those years: there are valuable lessons to be learned and blessings to behold through the gifts of the present if you’ll just embrace patience, uncertainty, surrender and that four-letter word we all hate, WAIT! In this age of sound bites, pixels, tweets and short-spanned Hollywood marriages, we’ve lost the blessings born of working through the processes of life. Last I checked, Rome wasn’t built in a day, it still takes 9 months to create a full-term baby, four years or more to obtain a college degree, and more than a day to lose 20 pounds. If it took God more than a few days to create the world, can’t we cut it a little slack? With social media we have immediate news, we eat fast food. I even read about a mortuary that has a drive-through viewing window so you can pay rolling respects. We want what we want and we want it now. What we don’t want is to have to WAIT – anywhere anytime for anything. All this fast living has made us into an impatient people who are fearful and frustrated with uncertainty and all things we cannot control. Think back to your dating days. Uncertainty in relationships is ROMANCE. What about spiritual stirrings, questions and wonder? Spiritual uncertainty is MYSTERY. How do you emotionally feel when you’ve waited for great news and it arrives? Emotional uncertainty is JOY! Ever spent time in great thought seeking understanding? Intellectual uncertainty is REVELATION. And what about pursuing your calling through a career? Occupational uncertainty is DESTINY! Ask a mother who has given birth to a premature baby. Ask the lovers who are waiting to meet. Ask the person who has won a silver medal in the Olympics. (Author unknown). I have a quote taped to my desk: “More is accomplished through prayer and rest than through personality and push.” Hurry is the death of prayer. Slow down! Take your foot off the gas pedal and climb out from behind the wheel. As my favorite refrigerator magnet reads: LET GO OR BE DRAGGED! Wait expectantly for the miracles and realize you are not in control of the world. One thing is certain. In the WAIT through uncertainty are the blessings of ROMANCE, MYSTERY, JOY, REVELATION, and DESTINY. Copyright © 2012 The C3 Connection. All rights reserved. Tagged: Destiny, Energizer Bunny, Fearful and frustrated, Gifts of the present, Going and going and going, In a Pit With a Lion on a Snowy Day, Joy, Let go or be dragged!, Mark Batterson, Mystery, Patience, Revelation, Romance, Slow down!, surrender, The gift of the present., To Realize, Uncertainty, Wait!